Brandi Clark Burton is a social entrepreneur, trusted green advisor, writer, and recognized community leader who focuses her energy on connecting people, information and resources. Her passion is promoting healthier people, communities, businesses and planet; and offers professional services to help others do the same. Burton has become Austin’s de facto “green welcome wagon” and wayfinder. 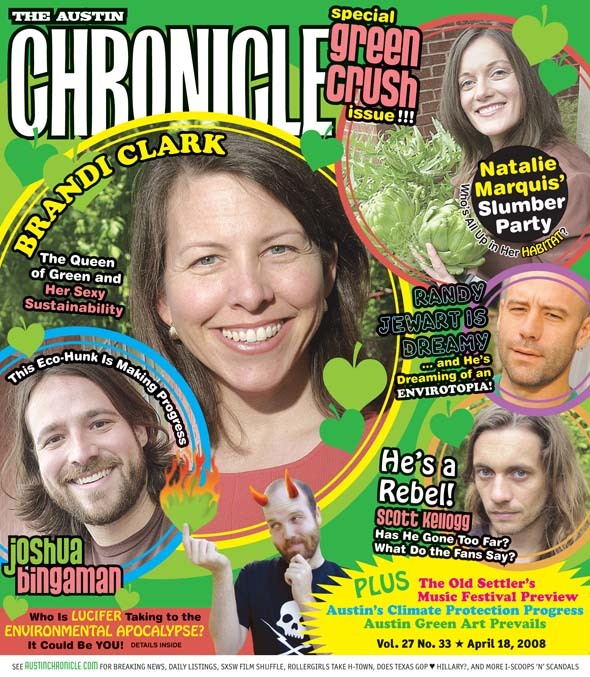 In fact the Austin Business Journal said, “If Austin had one green ambassador, it would be Brandi.” She provides connections into the green scene, business development support, green guidance for homes and businesses, funding leads for green business ventures, and consulting for individuals looking to create careers with meaning. Brandi’s commitment to personal development, personal health and wellness, and right livelihood help her be a powerful and inspiring voice for change. She sees possibilities and pathways to change, calls people into action that is right for them, and inspires people to live their lives in alignment with their values. Brandi gladly shares the mission of an organization she admires (called the Pachamama Alliance) to “bring forth an environmentally sustainable, spiritually fulfilling and socially just human presence on this planet.” She believes we need to revive the label of “citizen” instead of “consumer” as the key way individuals are referred to and valued in our culture. She uses a variety of approaches and programs to raise awareness of and participation in socially and environmentally responsible business and consumer practices. She has produced numerous city-wide and regional events, conducted marketing and outreach for leading Austin green businesses, and become a regular public speaker on green topics. Brandi grew up in Austin, graduated from Yale University with a BA in Sociology with Political Science, and is a graduate of Leadership Austin. Brandi represents the next generation of change agents, opting for building networks and collaborative discussions over protests. In 1996 Brandi incorporated Environmentality, Inc. and started promoting environmental products, businesses and consumer behavior. In 1999 she did a stint in Washington DC working for Green America, (formerly Coop America) There she served as the Green Business Screening Coordinator, helped publish the 1999 National Green Pages, and wrote articles for the Co-op America Quarterly. It was in DC that she learned about socially responsible investing and shareholder activism, sweatshops, forest stewardship, and many ways to help businesses and households become more socially and environmentally responsible. Brandi practices what she preaches and minimizing car usage, eating local and organic foods, getting many of her clothes from clothing swaps, attending potlucks, shopping local and regularly making the hundreds of tiny choices that add up to “being green.” For this and her community leadership she was selected as the 2003 Keep Austin Beautiful Dennis Hobbs Individual Achievement Award, voted “Best Environmentalist” in the Austin Chronicle’s Best of Austin 2007, 2008, 2009 and 2012 Reader’s Polls and dubbed the “Queen of Green”and “Head of the Class” in the 2008 Earth Day “Green Crush” issue of the Chronicle. Brandi is a founder and active leader of the Austin EcoNetwork, Austin CarShare, Citizen Gardner. Brandi has also served as a sustainability consultant for a proposed financial institution. She is a facilitator for the Pachamama Alliance’s symposium called Awakening the Dreamer, Changing the Dream. In the past Brandi has produced multiple Earth Day festivals for Austin (including Austin’s most diverse one ever in 2017) and several city-wide first-time events such as It’s My Park! Day, Austin Moving Forward, Live & Kickin’, and the Green Festival. 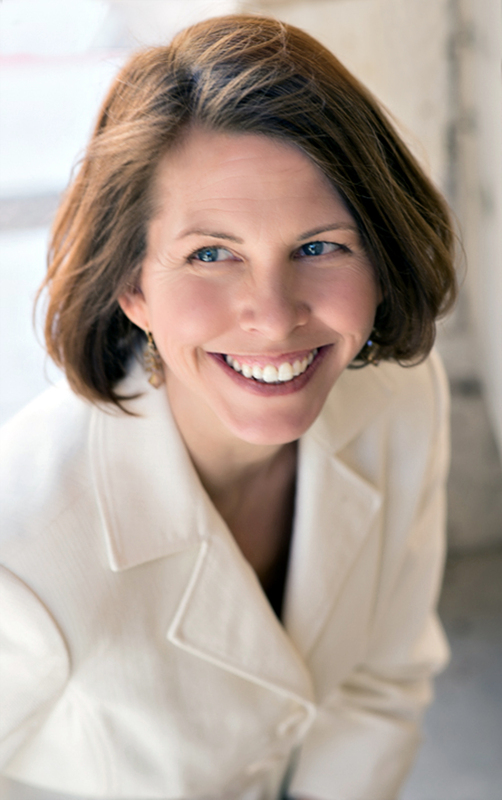 She has also served as co-chair of the Austin Sustainable Business Council and chair of the Urban Forestry Board. She has been asked to serve on task forces for the City of Austin including the Heat Island Mitigation Task Force, the steering committee for the community outreach portion of the Austin Climate Protection Plan, and as a founding member of the newly established Austin/Travis County Sustainable Food Policy Board. After years as a solo eco-preneur, working under the business name of Environmentality, Inc., Brandi rebranded in 2008 as EcoNetworking and expanded her office to include an assistant and interns to both take on more projects and help shape the next generation of green leaders. Her latest project is called EcoCampaigns and together with other leaders are taking on the transformation of one issue of sustainability at a time. The first subject area is food waste and she led the campaign to have the Austin City Council declare 2013 the Year of Food Waste Prevention and Recovery in Austin, Texas. For the last year Brandi has fielded numerous media interviews, produced, served as emcee for the campaign kick-off event and stakeholder meeting, and collaborated on a successful EPA grant application fund the initiative. You can see her TEDxYouth@Austin talk called Trashing Food on YouTube. Hubba, Hubba! Site’s looking good! Such a pleasure to see all this evolving along with your wonderful work. Looking forward to continuing the adventure here online as well as locally.